Which deceased celebrities continue to rake in the dead presidents? Even though he passed away in 2009, Michael Jackson continues to lead a money-making empire. 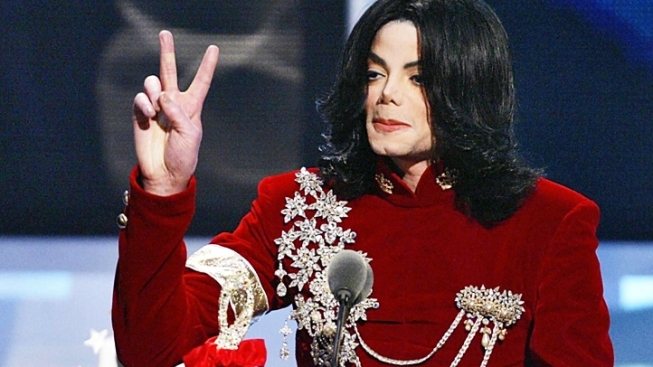 Thanks to the trial of Dr. Conrad Murray, Michael Jackson's name has remained in the headlines. He also, two years after his death, remains the King of Pop. Forbes has just released their list of the top ten highest-earning dead celebrities, and Jackson tops the list with $170 million. The Jackson estate pulled in the millions through a combination of music sales, Jackson's publishing company, Mijac Music, and their stake in the Sony/ATV music catalog. The figure also made Jackson the second highest-earning pop act - dead or alive - of the past year, topped only by U2. Coming in at #2 is Elvis Presley, whose estate still claimed $55 million even though "The King" passed away in 1977. Marilyn Monroe comes in third, with $27 million over the past year. Monroe's estate was purchased earlier this year by Authentic Brands Group, which markets her likeness. The rest of the list is made of "Peanuts" creator Charles Schulz ($25 million) at #4, former Beatle John Lennon and Elizabeth Taylor in a tie at #5 ($12 million), scientist Albert Einstein at #6 ($10 million), "Dr. Seuss" creator Theodor Geisel ($9 million) at #8, and a four-way tie at #9 between musician Jimi Hendrix, "The Girl with the Dragon Tattoo" author Stieg Larsson, actor Steve McQueen, and songwriter Richard Rodgers of Rodgers and Hammerstein fame. ($7 million). Former Beatle George Harrison, pin-up model Bettie Page, and artist Andy Warhol also made the list.